I loved White Cat. But then, Hanna bought it for me as part of a super generous Christmas present so I shouldn’t ever have been expecting anything less. There are a lot of fantasy series out there vying for your attention. I know how it is. You only have so much money to spend on books and there will always be too many series that you want to read. The Curse Workers series, though, really is worth your money and your time. It has brilliant world-building (complete with a plausible history and political opinions/nuances), clever characterisation and is exciting to boot. What more could you want? First up, the narrator is male. That shouldn’t be noteworthy but somehow I feel that it is. Either way, Cassel is likeable enough but he wasn’t my favourite character by any means. I can’t even begin to imagine how much thought has gone into this series. All of the characters and their stories are exceptionally well thought out and have appropriate back stories. So much so that when there’s a twist in the plot and you’re thrown off track, you realise that actually there have been clues there all along and that you would have seen everything if only you’d been paying attention. It isn’t that the plot is desperately unique as such, more that it’s just been intricately crafted and is utterly seamless. My favourite idea is that magic has a cost to the Worker. Want to change someone’s memories? Feel free, as long as you’re prepared to spend the next couple of weeks being a little forgetful. Decided that you want to kill someone? Go right ahead! Just be prepared to pay the price. I’m really looking forward to seeing how that system develops – it adds a level of thoughtfulness to everything that you don’t normally get with urban fantasy and I love it. 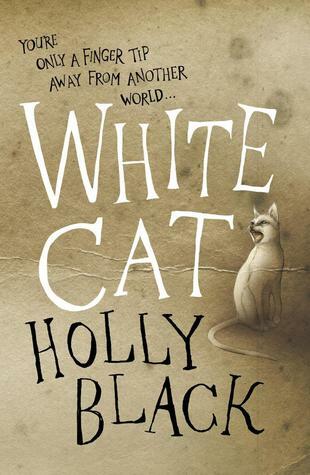 As a first instalment, White Cat does brilliantly and strikes the perfect balance. Enough to get you completely sucked in but not enough that your appetite for the characters and story is sated. I’ve never made a secret of the fact that I’m a huge fan of the starts to series. There are lots of occasions on which I’ll love the first in a series, recommend it to anyone I come across and then proceed to forget about the series the next time I go anywhere where I might expand it (as per Bitten of the Women of the Otherworld series by Kelley Armstrong). There are also plenty of times where I read the first in a series and get annoyed and ignore it forever (a la Fallen, part of the Fallen series by Lauren Kate). The Curse Workers series is the perfect start – one I loved and keep recommending and that I actually remember when I walk into a bookshop. One of the more creative series aimed at the older end of the YA spectrum of the moment and a book I highly recommend. Still need convincing? Check out Hanna’s review here!